Fancy footwork is an understatement these days. Shoe shopping for my three kids in any one of the many mega-stores outfitted with shelving from floor to ceiling stocked with every possible variety of shoe types in a vast array of styles, colors and sizes is quite the spectacle to observe. Raising independent thinking, always on-the-go, fashion forward kids gives parents so much more to consider when shopping for quality kids shoes. 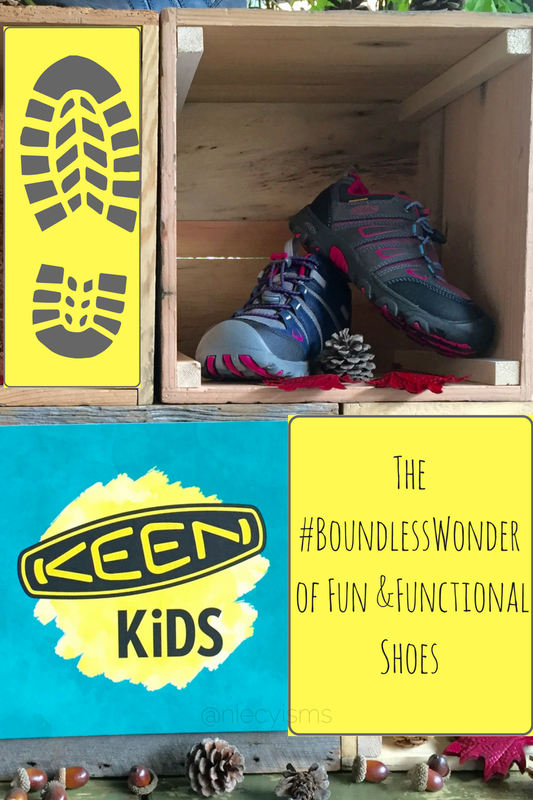 We had the opportunity to experience the #BoundlessWonder of fun, functional shoes with KEEN Kids shoes. Thank you to the teams from MomTrends and KEEN Kids for the invitation to attend a #MomTrendsBTS sponsored event for the purpose of facilitating this advertorial content. Helping to make our shoe shopping experience easier for everyone, the American College of Foot and Ankle Surgeons (ACFAS) offers families these helpful guidelines for buying shoes in a quick-reference infographic. Knowing beforehand these 3 super tips to buying shoes for kids helps to minimize foot-related injuries and accidents caused by wearing improperly fitted or worn out shoes. "Fun can be functional—here's the proof. Our collection of kids' shoes is full of cute, comfortable sneakers, sandals, boots and more for babies, toddlers, little kids and big kids." Did you know that children's feet can grow up to as much as two shoe sizes in as little as six months? During your search for new shoes take into account leaving a little extra "growing" room for foot growth when buying shoes. Always remember that you should never buy your kids shoes that are outright too big, walking around in oversized shoes causes their feet to slide forward, putting an excessive amount of pressure on their little toes. Foot and ankle surgeons suggest to parents finding a good fitting shoe that leaves about a finger's width from the front end of the shoe to the tip of the big toe. Uncomfortably tight shoes can cause the forming of blisters, corns, and calluses on your child's toes, blisters on the back of the heels or ingrown toe nails, which can potentially become infected. Routinely check your child's feet for any signs of infection from ingrown nails such as, pain, redness or fluid draining from the area. If you notice any of these symptoms,consult your pediatrician or schedule an appointment with a foot and ankle surgeon, to perform a simple, safe in-office procedure to remove the infected toe nail. Kids can really put their shoes to the test. Keep in mind that shoes will gradually lose their shock absorption ability over time, take a moment to inspect both new and older shoes for the proper cushioning and arch support. Foot specialists caution families to remember that wearing worn-out shoes increases the risks and potential for heel pain, Achilles tendonitis, ankle sprains, and stress fractures. The best advice is to replace any pairs of shoes that are "showing their age" with evident wear and tear around the edges of the sole. When buying shoes, opt for shoes that are high-quality and durable, check to see that the toe area is flexible, yet the shoe doesn't bend easily in the middle of the sole. Children with special concerns such as narrow or wider feet, or high or fallen arches should have shoes that will adequately support their feet. For instance, when buying shoes for kids with flat feet, select shoes with a wider toe space, maximum arch support and providing shock absorption for the best level of comfort. Keep informed about the best shoes to buy for your kids and yourself, ACFAS provides educational information to the general public on foot health and conditions of the foot and ankle through its patient education website. For more information on your children's foot and ankle health or to schedule an appointment with a foot and ankle surgeon in your area, visit the American College of Foot and Surgeons' patient education website at FootHealthFacts.org. 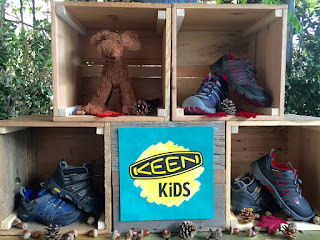 See the fun, functional KEEN Kids shoes collection today!